Call it the Digital Revolution become Political. The “Jasmine Revolution” that ousted Tunisian ruler Zine Ben Ali spread with uncanny speed to Tahrir Square, the heart and soul of Cairo and thus Egypt. Having covered the region for various news outlets, there is no question in my mind or in the minds of most observers that the flames of revolt in Egypt, often called the Mother of the Arab countries were fanned by AlJezzera, the Arabic and English-language news network that has consistently demonstrated more insightful reporting from the region than its better funded American and European news counterparts. Governments are warning their citizens to avoid travel to Egypt, and since national aviation is threatened, several countries have hired charter planes from US-emergency travel specialists like Medex Global Solutions to help get their citizens out. 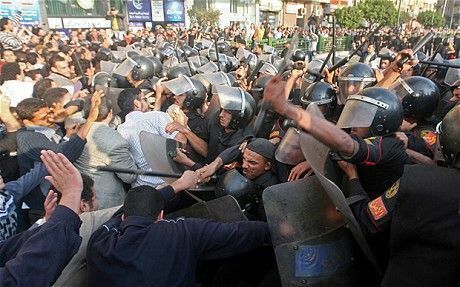 No question that with supporters of President Mubarak now attacking protesters, the situation has become more dangerous. And it seems President Obama misjudged the mood of the Egyptians by accepting the continued presidency of President Mubarak. Tourism is bound to suffer, in the short term, but tourism is the life line of the Egyptian economy. Because it represents more than 12 billion (USD) for the Egyptian economy and employs about 12% of the country’s work force, it is unlikely that whatever government is ultimately in place will allow tourism revenues to decline. The Center for Asia Pacific Aviation (CAPA) says that the 24 or so economies of the Arab World ( Middle East and North Africa) represent 11% of aviation volume, about double what it was a decade ago. • For one, we expect tourism to Israel and Jordan to be negatively affected, again in the short term. Thousands of tourist enter Israel from Egypt, many arriving for day trips from the Arab country. • At the moment the American tourism industry is sitting tight with increasing cancellations of travel plans. But we know many itineraries are being tweaked on a daily basis and Delta, the only US carrier with nonstop Cairo flights, canceled its flight last week. • The Norwegian Cruise Line has directed its Norwegian Jade to call at Istanbul instead of Alexandria, and ABC News Travel reports that other ships are diverting to Turkey and Cyprus. • In just about all cases, the popular Nile Cruises to Cairo from Luxor and Aswan are not operating, keeping travelers in Upper Egypt where there is less trouble. Obviously the situation is very fluid. Seven days ago, Egypt was considered by risk-assessment groups to be a “low risk” country. As before we urge all travelers to buy travel insurance with trip protection and evacuation provisions. Having said that, we predict (hope) that the travel situation will soon become stable.